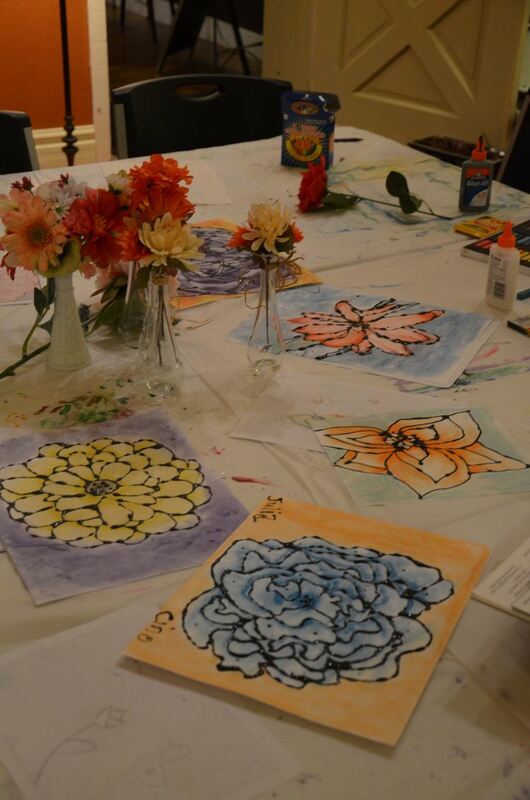 Bloom Prints Art Classes for your Littles! 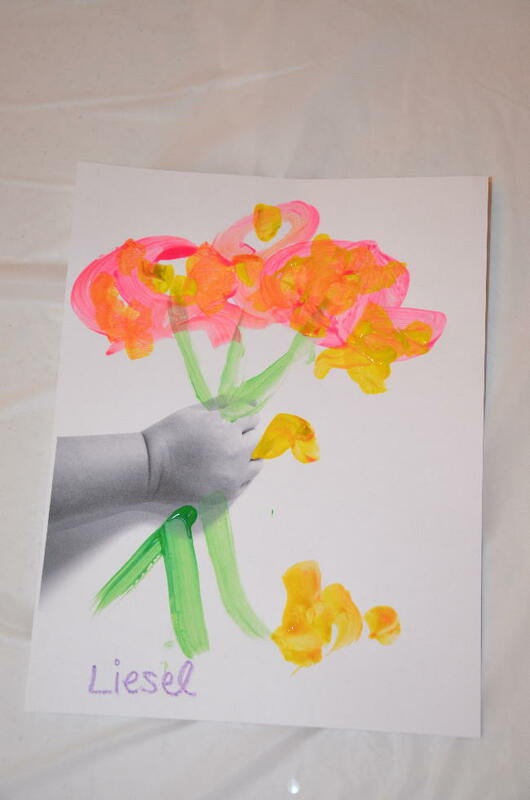 A handful of great art projects from our Bloom Prints Studio that you can do with your littles at home! TUTORIAL - Abstract Painting with Littles! A fun tutorial on abstract painting with littles! Our sweet artists are making a difference in Nepal by painting these gorgeous portraits for orphaned children in Nepal! 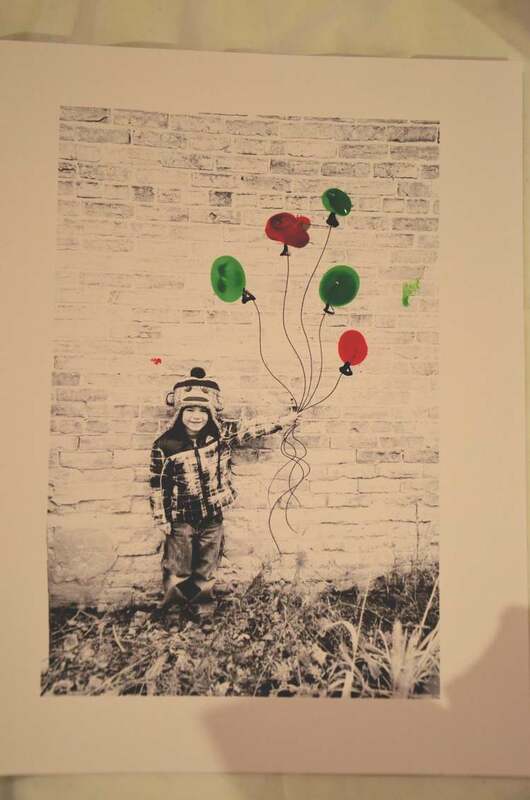 Our Bloom-Prints Studio featured in METRO-PARENT MAGAZINE again! 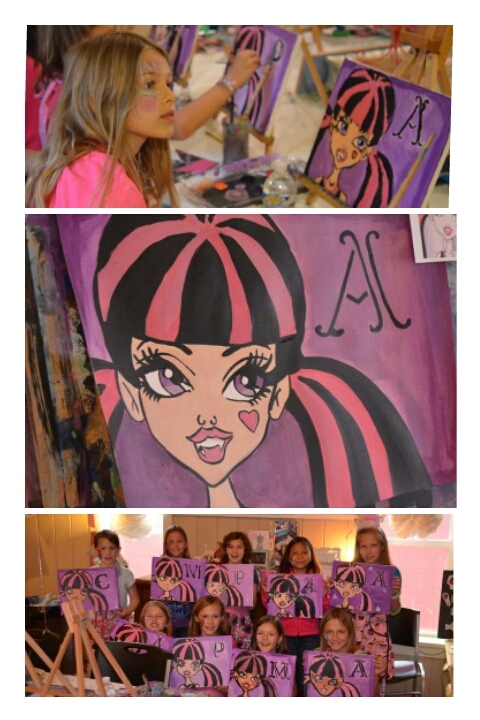 And a great art tutorial for your sweet kiddos! It has been weeks since I last blogged. After a funeral of a loved one, weeks of sickness and the holiday rush, I was anxious to start sharing these lovely creations of our students again! 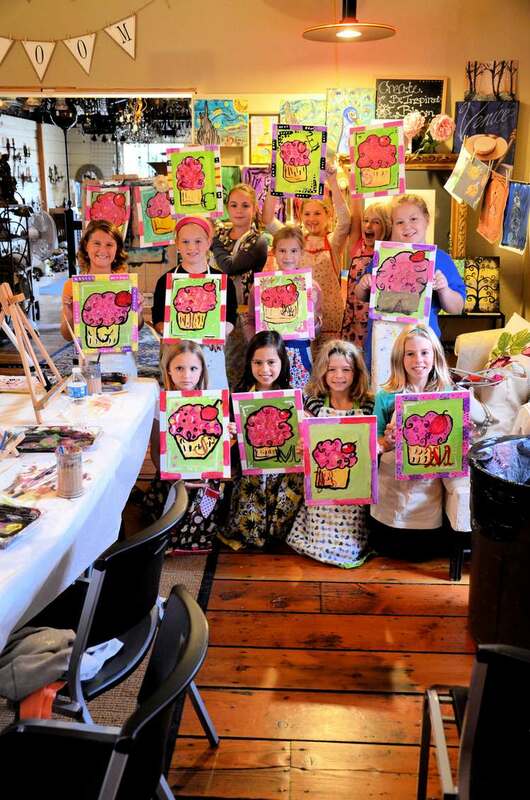 I had a group of beauties come and paint some whimsical multi-media art with me at the studio. 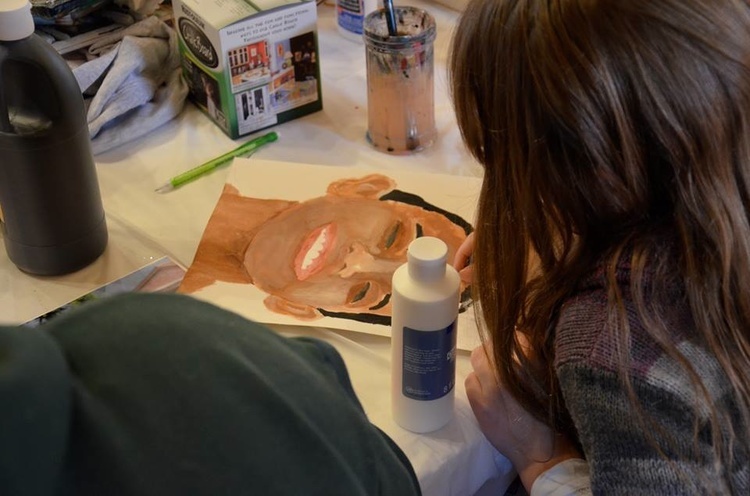 Each artist was encouraged to come up with their own individual expression, using their own hair, skin tone and eye color choice, and whatever elements of multi media tools they chose. I am in love with these! This girl scout troop and their leaders completely melted my heart. These mom's and their thoughtfulness was remarkable and these little lady artists made me smile. A totally sweet idea...they came and painted for their badge and at their next meeting, they are getting together to wrap these for their parents for Christmas. Please check out this delightful party we had together. 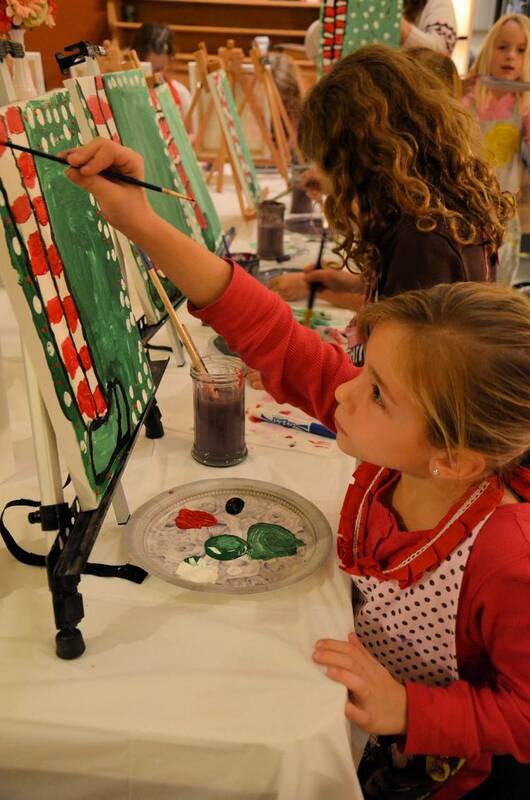 Bloom Prints Special Christmas Classes! These classes have been such a blessing. To me, and I hope to our Bloom Prints families as well. Watching mommas and their little ones create in the Christmas spirit...what could be sweeter? We have been creating Christmas art for all ages to give as gifts of keep as family keepsakes. We have been working on a super fun curriculum this fall/winter...and I am so, so sad that it will soon come to an end this month! We have been working on a sensory curriculum...involving a lot of body printing. These projects were some of my favorite. We worked on two different projects where the kids worked on finger printing the end of each balloon string (as opposed to smearing the paint all over their canvas :) Dont get me wrong...I adore the crazy finger paintings that are crazy messy, but this is a totally new skill at this age. Check out their adorable work! I have a wonderful artists in one of my classes that adores dragons. He recently moved away from his former school and missed his best friend there. Check out their awesome work!!! Please check out how these almost stained glass-eque paintings developed! We had over 22 kids working on these,...so this is just a sampling of this awesome work! Polka Dot Owl Birthday Party! 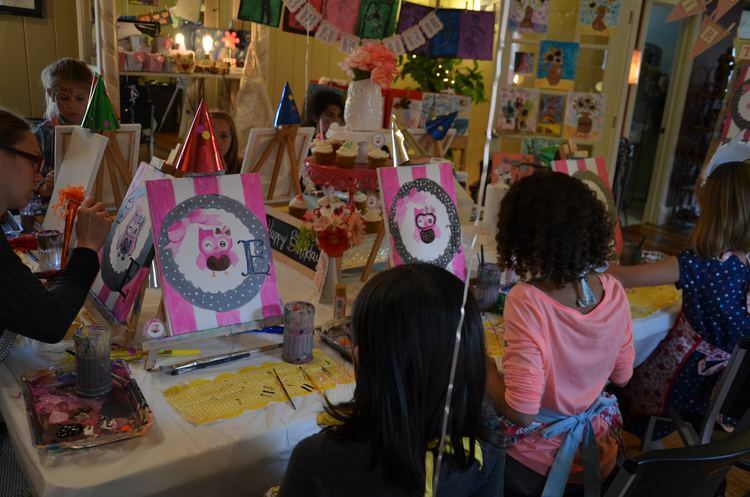 I love all of the birthday parties we throw ... and this was perhaps one of the most creative birthdays we have had at the studio to date. I adore this family so it was an absolute honor to be a part of!!! Our birthday girl and momma are so stunningly beautiful inside and out. I love them. Polka Dots and Owls was their theme...Such a fun team this mother/daughter pair are and it was such a treat watching them create together. I provided the centerpiece, a few accents from THIS Baby Shower, and birthday sign and they brought in the most darling polka dot details I have ever seen!! 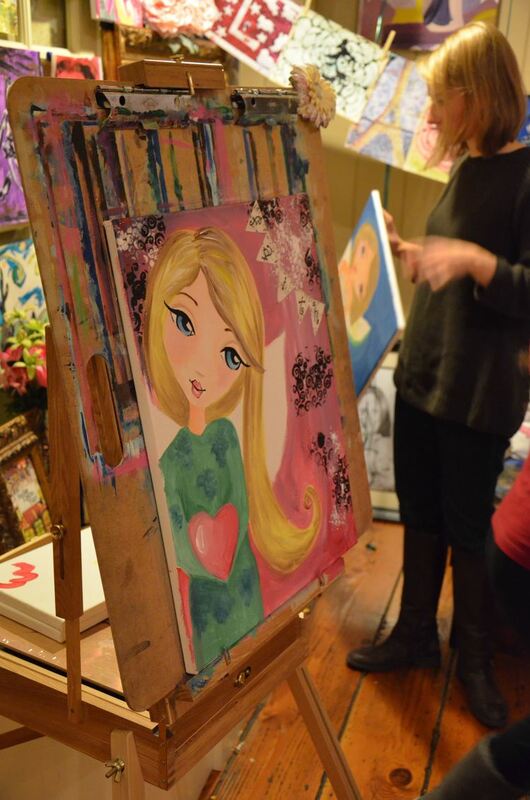 It was truly a magical afternoon and I hope our birthday girl and her guests enjoyed painting their stunning works of art! TO READ MORE ... CLICK HERE! This darling group requested to paint monogramed cupcakes and I couldn't have been more pleased with their amazing results! I always am so blown away at each different result of the same subject matter! They each see the world so different and I adore that in them!! 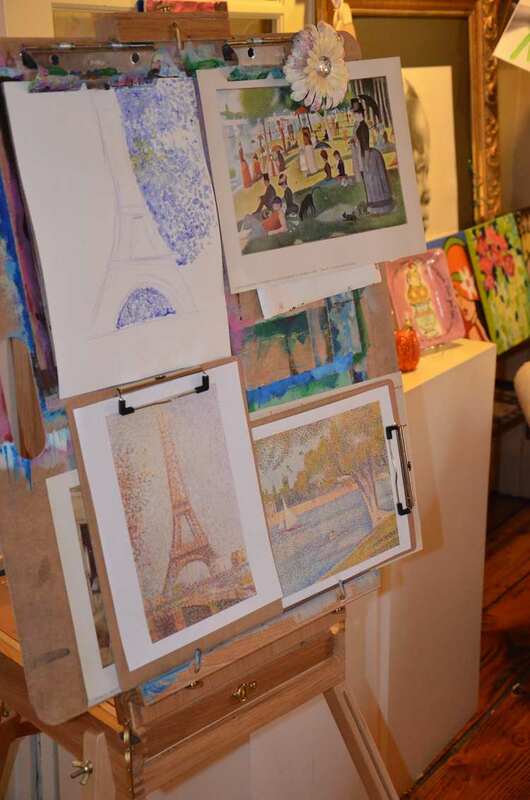 Recently, our students learned about Georges Seurat and pointillism. A French painter who used tiny, tiny dots to create incredibly vast and stunning paintings! Since the kids always have a hard time remembering Seurat's name, I always say think of this famous painting and remember there is a man in the foreground with a top hat on and think, "Sir-Hat." 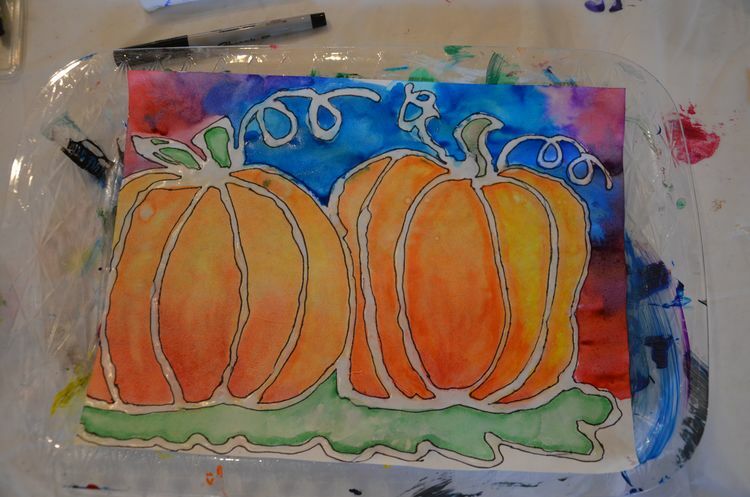 I think perhaps this may be my favorite lesson I've designed for our Home School Classes and Painting with the Master's classes. We learned about Degas, his study of dancers, his technique and his use of movement in his paintings. The outcome was amazing! All ages from 5-15 nailed this one! 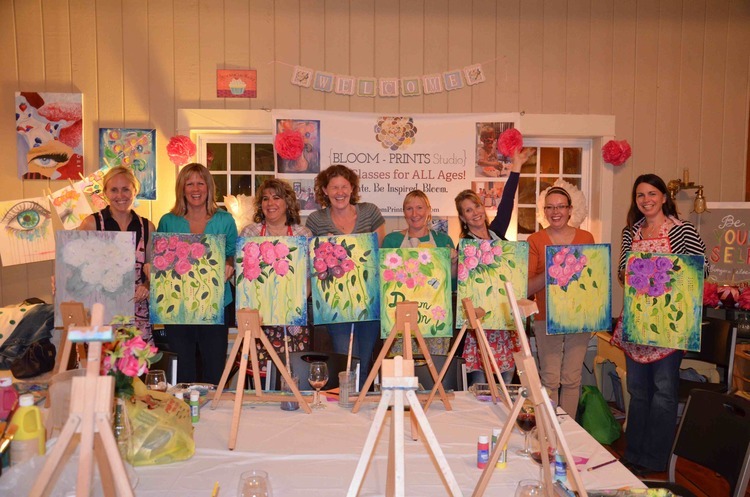 Ladies Painting Night: "Fun-Fetti Flowers"